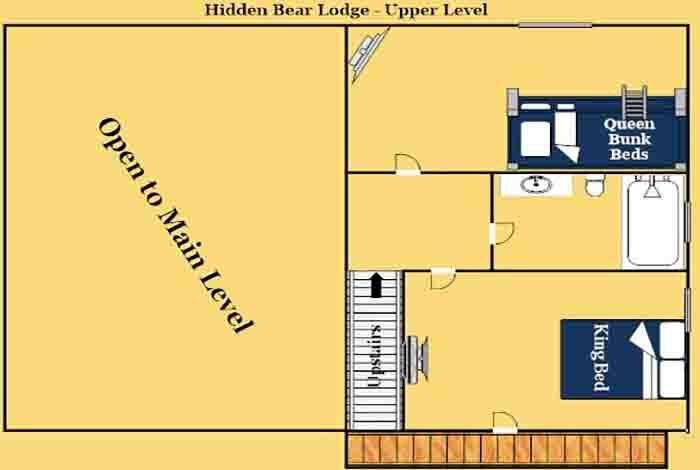 If you are looking for the perfect combination of privacy and luxury then Hidden Bear Lodge is the perfect cabin for you. 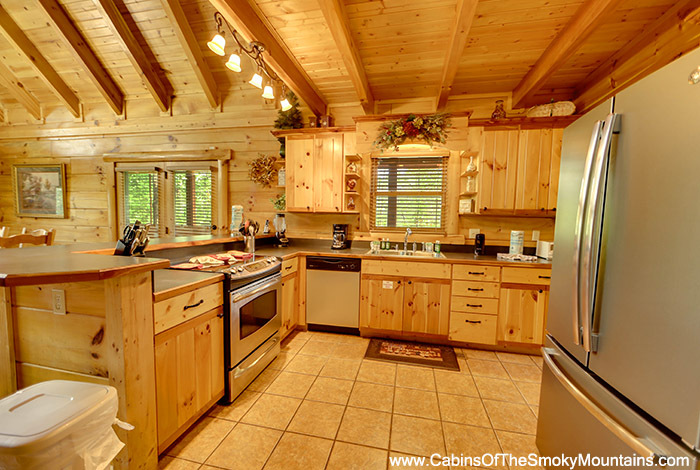 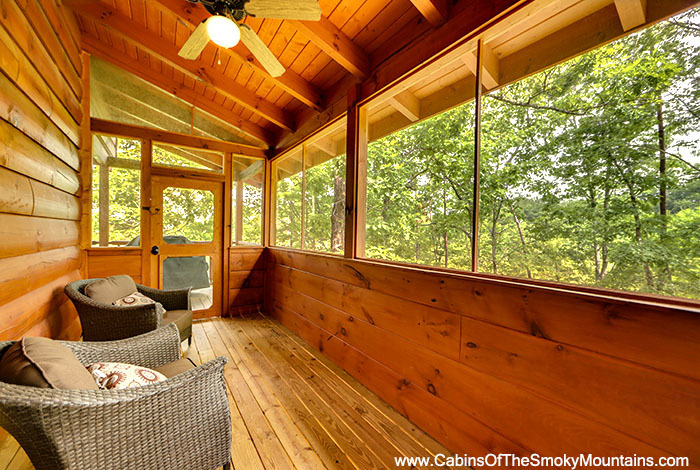 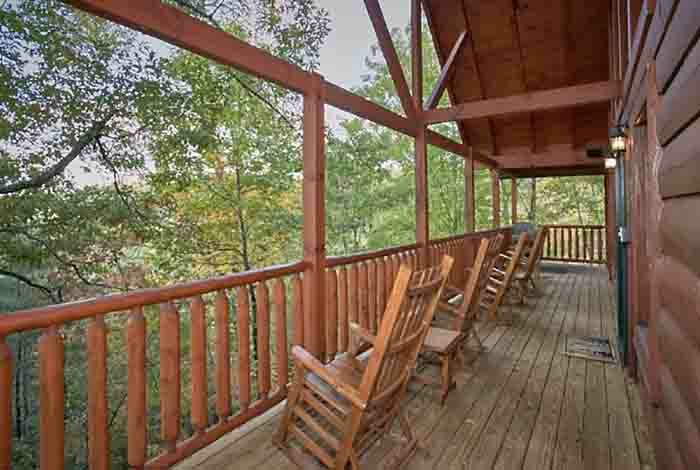 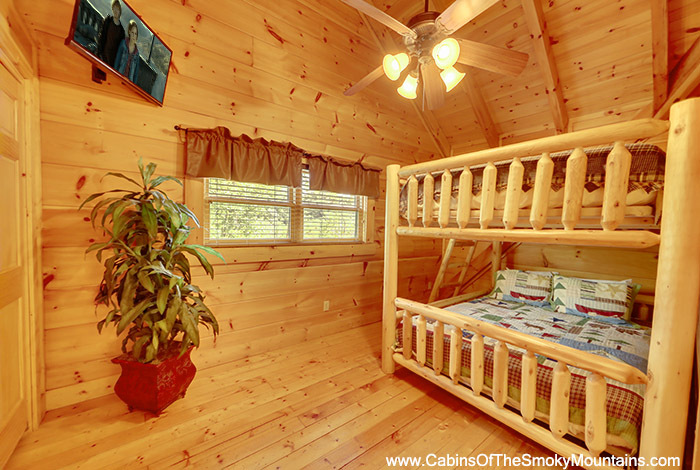 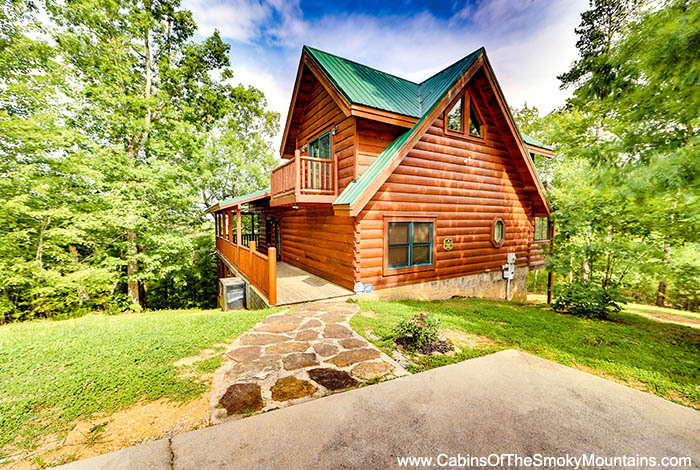 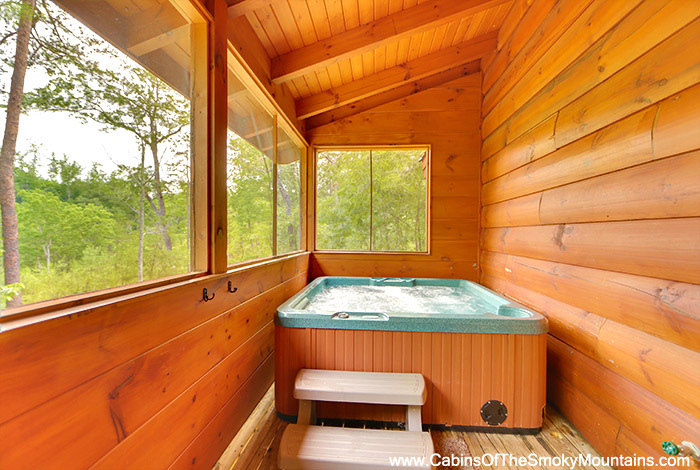 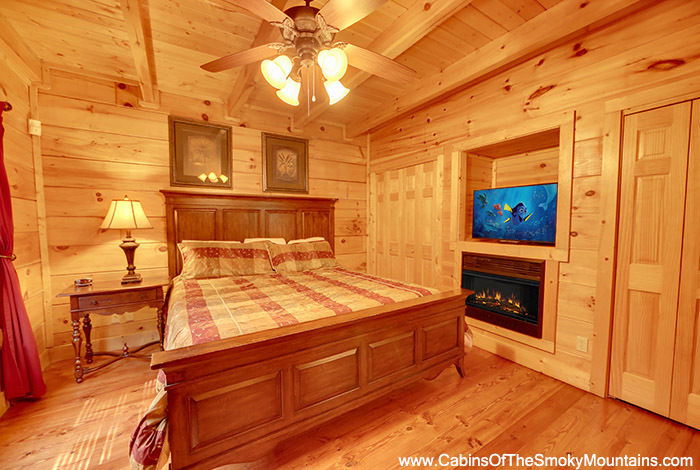 Bring the whole family along with you to the Smokies Hidden Bear Lodge is a 5 bedroom cabin that will sleep up to 14 of your closest family or friends. 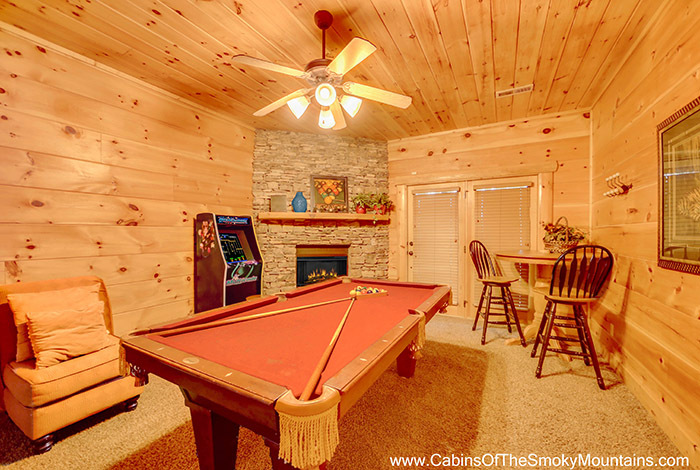 Everyone will be sure to enjoy a game of Ms Pacman or pool. 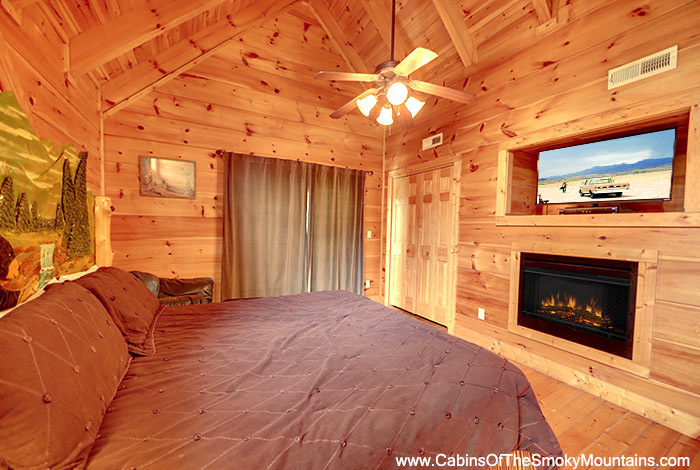 Don't forget the popcorn! 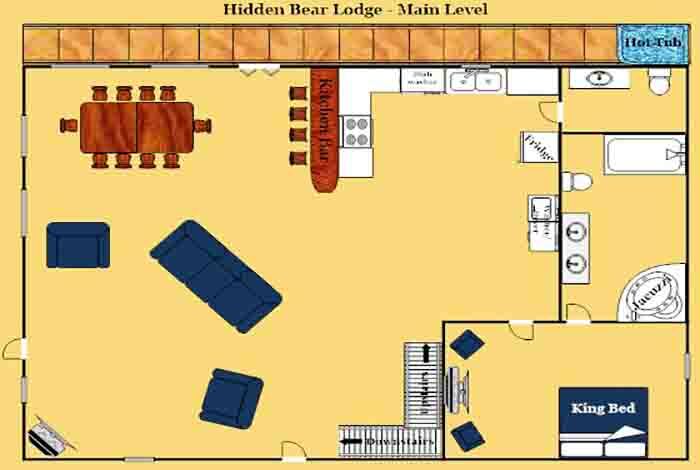 Hidden Bear Lodge even has it's very own Home Theater so you can enjoy a family movie night. 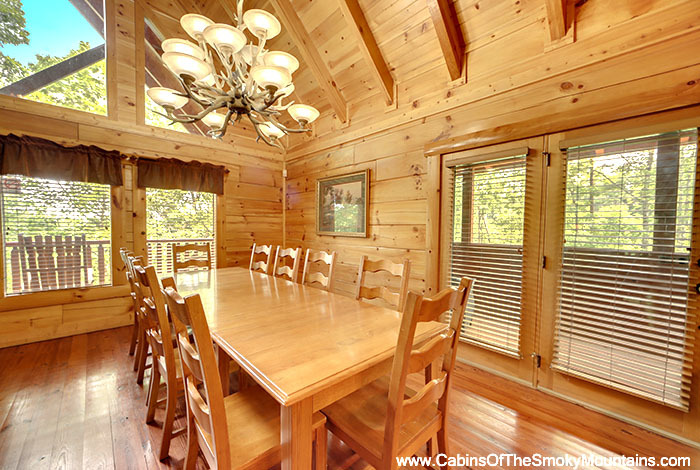 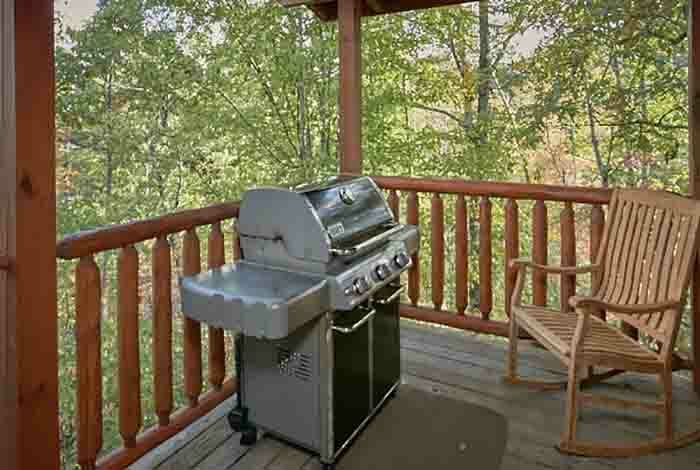 Have a BBQ with the family and eat out on the picnic table just outside your cabin. 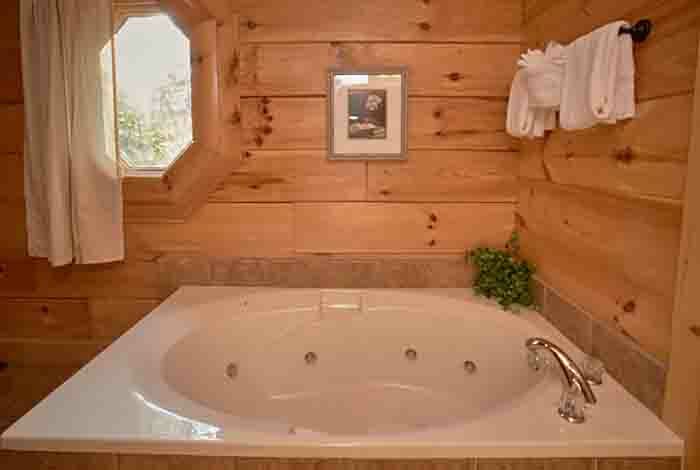 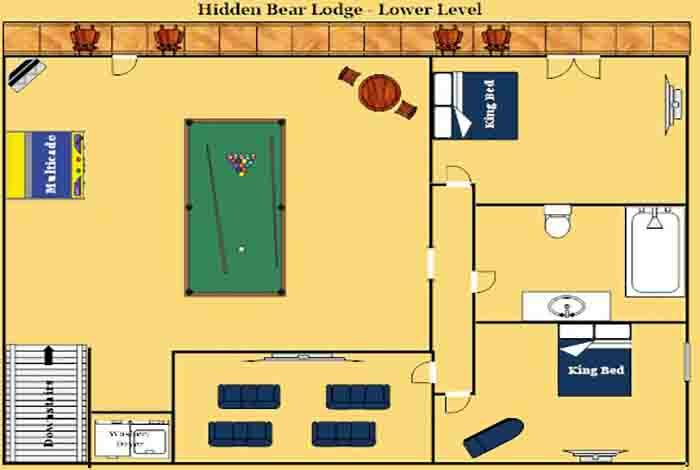 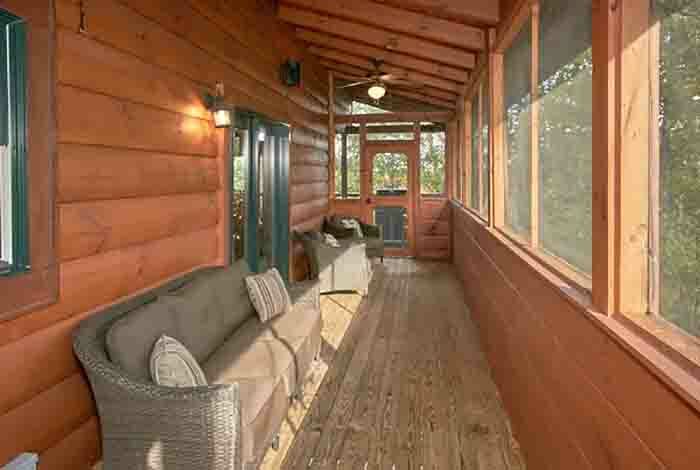 Plan your next vacation in Hidden Bear Lodge and make memories to last forever. 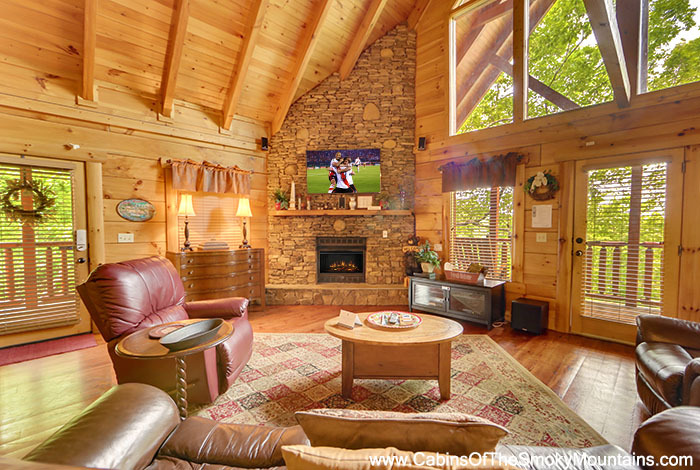 On Demand Movie list of 2400 free movies!